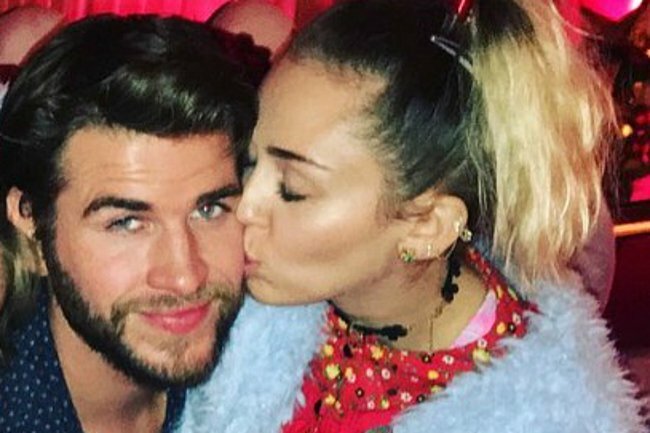 Miley Cyrus Liam Hemsworth split in 2013: the stars reveal why. The reason Miley Cyrus and Liam Hemsworth broke off their first engagement in 2013. They quietly wed in a beautiful and personal ceremony just before Christmas, and went on their honeymoon with the entire Hemsworth clan – so it’s currently very happy days for Hollywood couple Miley Cyrus and Liam Hemsworth. The couple had met on the movie set of The Last Song, and become engaged when Cyrus was only 19. At the time, Cyrus, the daughter of iconic singer Billy Ray Cyrus, was an established Disney star wanting to update her ‘child’ persona, whilst Hemsworth was just beginning his Hollywood career. They were at two very different points in their lives. You may recall Cyrus’s infamous onstage twerking with Robin Thicke, at the MTV Music Awards in 2013 – an incident which it now seems led to the beginning of the end of the pair’s first engagement; because, only a month later, Cyrus announced the engagement was no longer. The couple was apart for three years, until they reconciled in 2016. At that time, they both discussed what went wrong in 2013. Speaking to radio personality Howard Stern, Cyrus admitted she needed time and space to grow up. “I had to. I don’t like when relationships are two halves trying to make a whole,’ she said. In that same year, Hemsworth offered his own explanation of the split to GQ Australia. “Of course it was hard, man. But at the time we were going in different directions and it’s just what needed to happen. At the time of the interview, the couple had recently become engaged; and now, it seems, there’s been no looking back ever since.